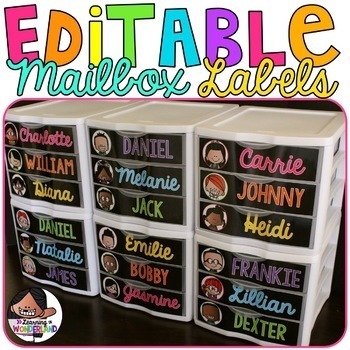 You are purchasing a set of labels you can use to create a mailbox system using Sterilite bins. 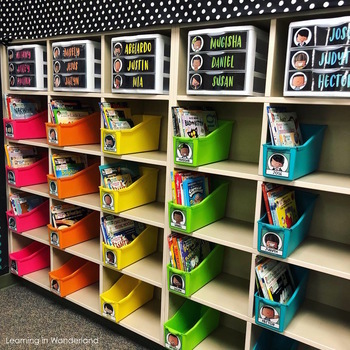 I put a folder at the bottom of each drawer and I place stand out pieces of work in these folders for each child. It creates an easy to maintain portfolio system. On top of the folders, I place regular school work that needs to be handed back to my students. Once a week, I send home a week’s worth of student work. It all goes home on one day and that helps student work get to parents without anything getting lost. Two student helpers are in charge of putting away student work. The drawers make it incredibly easy for my kids to do this. One of the huge benefits of this system is that you will always have student work readily available. 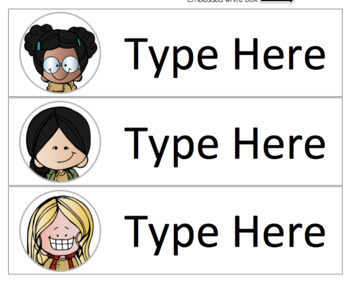 Many times an IEP meeting will pop up and I will be scrambling to find student work. Since I have the portfolios in here, all I have to do is take that folder with me to meetings. I also like to take these out for parent conferences so parents can see the progress their children have made. - Every label is now included in 8 colors! It has grown to over 1,000 pages of labels! 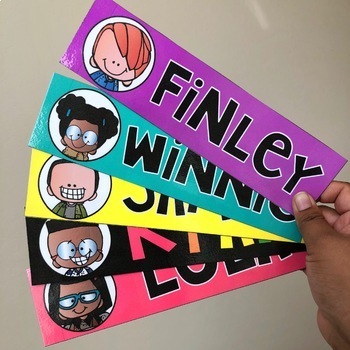 One of the most common requests I've received in the past years is to include the same children from my skinny name tags and my book bin label sets. I've done a massive update and this set now includes over 400 kids! Both are included with white and black backgrounds! Please note that all these labels are editable using Microsoft PowerPoint and were measured to fit standard sized Sterilite Drawer Bins that hold paper measuring 8.5X11 inches.